We know it’s almost Valentine’s Day and people will go out and get expensive gifts. We found the perfect gift for you in the form of an artist you will need on your Valentine’s Day playlist, Leon Grey. We discovered the British artist on the Gram, a few months and we have been obsessed with his banging tunes since. We managed to get a hold of him and chatted everything from music, style and some cool Instagram tips. GQ: In 2016 you were featured on a couple of online sites, but the focus was mainly on how hot you are and your Instagram profile is. What are your Instagramming secrets? How do you get that perfect shot and perfect profile?LG: Yes, throughout the years I have been featured on a few platforms which is great, and I am truly humbled! In terms of my Instagram secrets, there isn’t much to it! I am always myself and try and be natural and confident. Lighting and background are important, but the main thing is to have fun with it. GQ: We follow you on Insta so we know you are a singer, and after reading this, many will know as well. Tell us about your musical journey? How did it start and where are you wanting to take it?LG: Music has always been a huge part of my childhood and growing up, professionally it started in 2011 when I was part of a music group called The Goods which was made up of my three close friends. After a few years, I decided to focus on going solo with the great help of my good friend/producer Duncsuei. GQ: How would you describe the kind of music you sing?LG: My music is a combination of reggae, soul and R&B. its Leon Grey vibes! It’s taken me a few years to find my sound and I do feel as an artist your sound will always develop, change and grow with you. GQ: Who inspires you musically?LG: The list is endless Michael Jackson, Maxwell, Bob Marley, Dennis Brown and my mother of course just to name a few. My mixed heritage (Jamaican & Greek) has also played a big role. It’s not only who inspires me by what inspires me, a lot of my inspirations also come from emotions, the sea, the mountains, bustling cities, sounds – I often listen to array of genres from all around the world, it fascinates me how drum patterns and sounds can differ from each town let alone continent! GQ: What’s your dream for yourself as an artist?LG: My dream would be to create music that can positively impact on someone, whether it’s for a second, a day or a lifetime. Another dream of mine is to educate the next generation and reassure them the world doesn’t always have to be a negative place. I hope to do this through my music but more so through my voice as a young black man that has been thrown very tough challenges throughout my life. GQ: You are a well-groomed gent. What’s your grooming routine? And what tips can you give to the GQ guy?LG: Thank you! My locks take a lot of grooming! I wash and retwist and style them myself every couple of weeks using natural oils such as lavender and chamomile, which I also use on my beard. I always use Aloe Vera that I extract from my actual plant I also use this on my body. One of my favourite hair products is the Jamaican Black Castor oil from Rooted Treasure they use traditional hand-crafted processes to create this product. My daily skin care routine consists of Kiehls facial fuel wash followed by my favourite face cream Origins ‘Save the males’. I love body oils and strong scents; Jo Malone Oud & Bergamot body oil is so good! My go-to fragrances are One Molecule, All Creed perfumes (I’m addicted) and Tom Ford Noir Extreme has been a firm favourite. In terms of grooming tips, take care of yourself and keep to your skincare/hair routine. What’s on the inside is the most important – Drink water high in PH, work out, eat nutritiously and meditate! GQ: Outside of music what else does Leon do?LG: Well… I do get up to quite a lot! I love fitness and training and eating well. I am a huge anime fan especially Dragon Ball Z. Travel is a huge passion of mine, if I could I would probably sing and travel the world constantly – there’s just so much to see. I am yet to see much of Africa which is at the very top of my list. GQ: You live in London which many believe is the best place to have a great turn up. What are your favourite places to party in London?LG: London is such a great city, so much to do. Due to always being in the studio I don’t get time to party as much as I would like. I’m a fan of bars, pubs and restaurants. Birthdays in Dalston has good hip hop vibes, True Craft in Tottenham have the best sourdough pizza’s, beer and always play the best tunes. A favourite place of mine has to be Kiln in Soho where my very good friend Meedu is Head Chef, a must when you are visiting London. GQ: At GQ we are all about embracing your personal style, what’s your personal style and how has it evolved over the years? LG: I agree GQ are such advocates of embracing personal style. Dressing how you want is hugely important I have always loved colour and statement pieces since I was a child. I am a 90’s child to colour runs through our veins. I am more about the look of the item than where it’s from or who its designed by, I like to be comfortable but also stand out of the crowd. Jewellery is my main stylistic element I would say, over the years I have collected silver rings (which I wear on every finger) from all over the world some of which are a huge significance to me. On the face of it, there’s nothing surprising about Instagram’s founders leaving six years after the company was sold. Mike Krieger and Kevin Systrom’s tenures at Facebook were longer than that of most Facebook employees, where the average is 2.5 years. 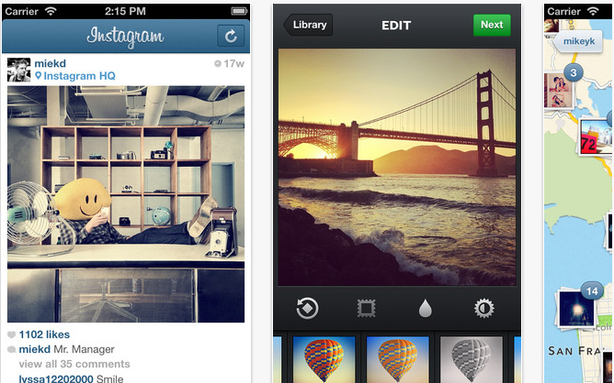 And Instagram has come a long way since Facebook bought it in April 2012 for a reported $1 billion. In the past six years, Instagram has grown from 50 million users to more than a billion users, and it currently employs more than 700 people. 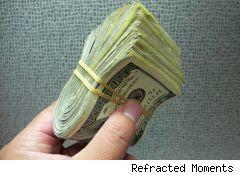 Today, its estimated worth is over $100 billion. 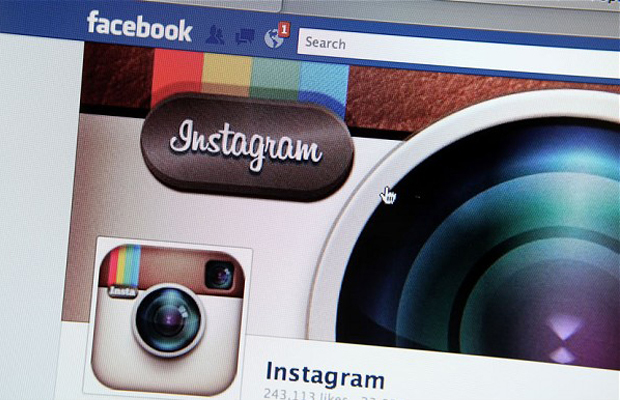 When Facebook acquired Instagram, it promised that it would not mess with the company. But the truth may be that Instagram has become far too important to Facebook’s bottom line for Mark Zuckerberg to keep that promise. With Mr. Krieger and Mr. Systrom’s departures, the future of Instagram is now completely in Mr. Zuckerberg’s hands. Instagram’s explosive growth is a success story in its own right, and a big part of the credit is due to Instagram’s executive team, which carried out its vision of an uncluttered feed of photographs. Another part of the company’s story, however, is how much Instagram was able to leverage the technical and advertising infrastructure built by its parent company. Packed with interactive features and social media appeal, pop-up exhibits have taken major cities by storm, allowing visitors to step into another world. A sunflower garden, a caviar pool and a psychedelic laundromat are among the many Instagram-ready experiences that have taken over vacant studio spaces and abandoned buildings across the country, luring in the hashtagged obsessed. These interactive pop-up exhibits in New York, Los Angeles, Chicago and other major cities charge people $18 to $45 to capture their experiences in immersive “Instagram playgrounds,” many of which lead to thousands of posts on the social media platform. “It’s meant to feel like a dreamscape, a little oasis away from the chaos of the city,” said Michelle Price, on-site brand manager of The Egg House, a pop-up exhibit that started in New York and is currently in Shanghai, attracting over 16,330 Instagram followers. While the installations’ visual appeal helps the exhibits attract visitors, abstract narratives like Ellis’ engage visitors. Has everyone “gone mad?” Fantasia had a moment on Instagram Sunday night while addressing those who have “judged” her and said she will rise above everything, even the government and “the church house,” that have gone mad too…”I Rise ABOVE IT ALL!!! THE WORLD IS GONE MAD. KIDS, THE GOVERMENT, THE church House… Everybody Trying!!!!!!! Its a lot that going on that the Bible speaks about we should Not be doing. Weed legal in some places, Gay Marriage Legal BUT YET IM JUDGED!!! Im not doing Nothing for you… My Life!!! !” — Fantasia. Pause… let that settle in. While the talented vocalist might have a point in some areas, was all of that necessary? You’re mad about being judged, but then you turn around and judge others? 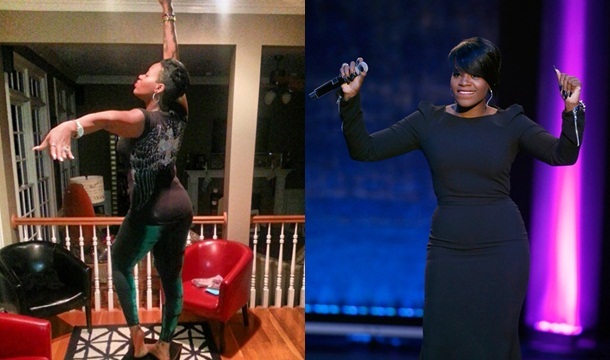 In related news, Fantasia has been busy working on a new album, which is a follow up to her well received 2010 effort “Back To Me.” That album led her to win a Grammy (“Bittersweet”). Hopefully, this new project will lead to another win. Fantasia is also slated to appear during the annual pre-Super Bowl Gospel celebration concert in New Orleans (in February).